Underground fractures in the earth’s crust pose a number of problems for the mining and nuclear waste management industries. For the mining industry, determining the composition of the earth’s crust – the structure and nature of the rock, the concentration and distribution of stresses and where the rock is fractured is important for safe and effective mine design. For the nuclear waste disposal industry, it is critical to understand the location of fractures and faults when burying nuclear waste because of the risk of ground water contamination and other dangers such as leeching. MOFRAC software models fracture networks in the earth’s crust by heavily relying upon known actual geological controls. However, it was initially developed in Fortran, a now outdated computer language and was not user friendly. In a project lead by CEMI, in partnership with Ontario’s Nuclear Waste Management Organization (NWMO), MIRARCO as well as R. Mohan Srivastava‒ the original developer of the computer code, the software is being upgraded so that it can be used more broadly and effectively by the mining and nuclear waste management industries. MOFRAC is unique because it pays strict attention to fundamental geology principles, respecting geological input data better than any other tool of its kind. It is expected that this application will produce a more accurate representation of the geological structures in the rock than other tools which claim to do the same thing. This will reduce uncertainty and increase safety for both the mining and nuclear waste management industries. This project is being managed in two phases. The first phase, which is now complete, has updated the computer language and developed a rudimentary graphical user interface (GUI) for the software. 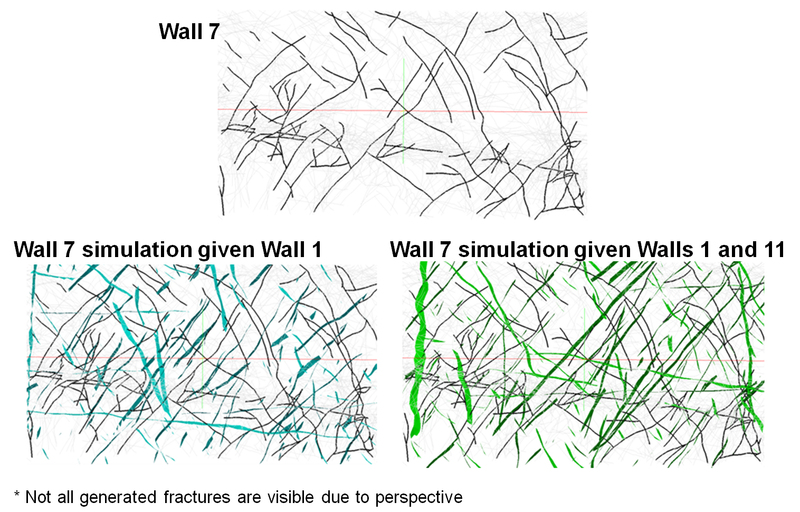 Initial validation exercises were also done in which data was input from known fracture networks and the results from the application were compared to the actual structures. Phase two, currently under development, will include the development of a more comprehensive GUI as well as more complex testing and validation of the program at real sites (a nuclear waste site in Finland and at possibly at a Glencore mine in Sudbury).